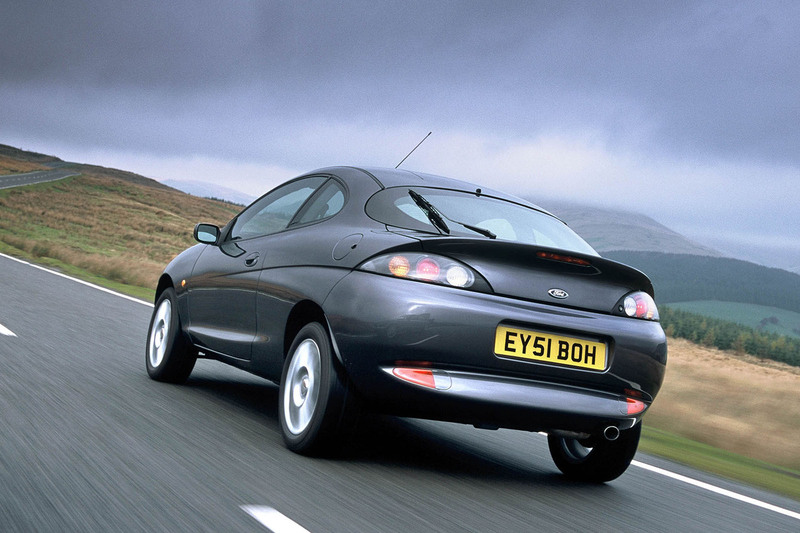 ‘Puma – a driver’s dream’ ‘ was the tag line for Ford’s pocket-sized coupé of 1997 to 2001. It signed off a TV ad starring Steve McQueen, cleverly intercut from the film Bullitt at the wheel of his Ford Mustang. What would Hollywood’s 24-carat petrolhead have made of Europe’s tiddly front-driver? Towards the end of the ad, he apparently gets out of the Puma and casts a wry glance in the direction of his Triumph motorcycle, before the action cuts to a double who fondly pats the Puma’s wing. Fast forward 20 years and he’d be unwise to tap a Puma’s rear wing today for fear that it might crumble to dust. Corrosion: it’s the Puma’s number-one enemy, munching away at not only the rear wings but also the sills. Get to it early enough and it’ll cost only around £300 to repair. Let it spread and you may be scuppered by a lack of spare panels. You’ll be lucky to find a Puma without rust but look on the bright side: it’s why this driver’s dream is so cheap. Prices for runners with a short ticket start at around £300. Spend double that and you’re into tidier cars with a year’s MOT. At the upper end, around £1000 will get you a clean 60,000-miler with some history. Why would you bother? Because besides looking cute, the Puma is a product of that exciting decade in Ford’s history when the company’s brilliant engineers finally took over the asylum. 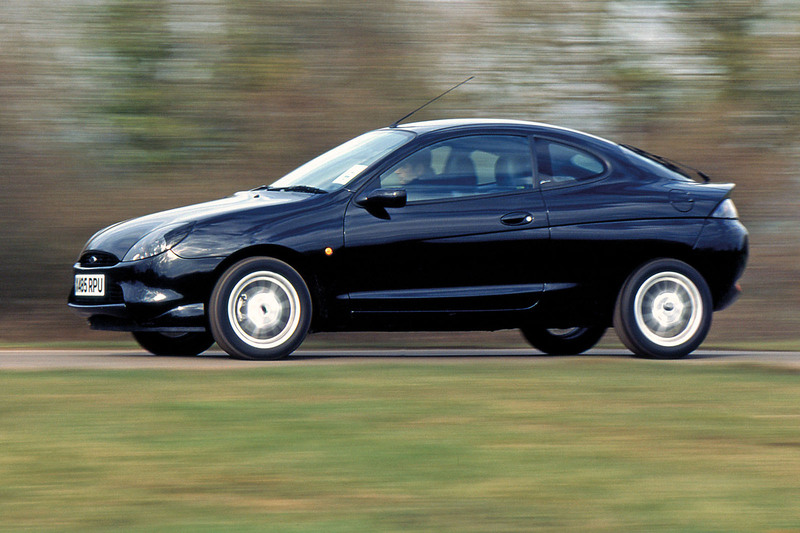 The Vauxhall Tigra of 1994 had established that there was a market for a tiny 2+2 but, more important, the Corsa-based coupé gave Ford a benchmark. 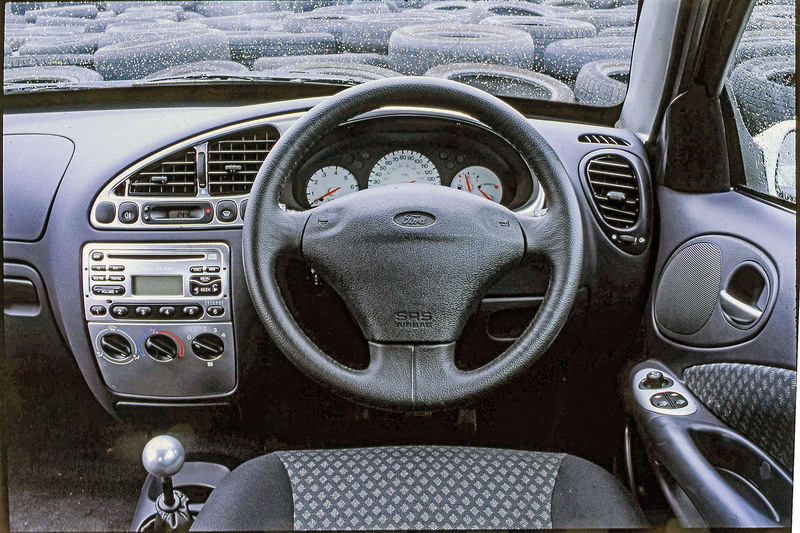 The Puma arrived in showrooms in 1997, based on that sparkling little number, the Fiesta Mk4. It was immediately clear that, rain or shine, here was an alternative to the Tigra that could spread a far wider smile across the face of its keen driver and look prettier intothe bargain. The Puma was offered with no fewer than four engines during its short life. The launch unit was by far the most popular and, therefore, the one you’re most likely to encounter: a 1.7 16v VCT (variable cam timing) four-cylinder. 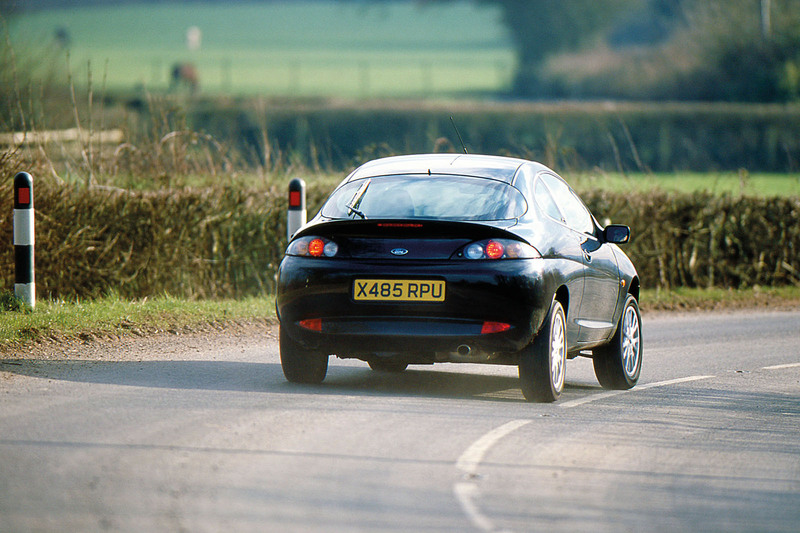 It was joined in 1998 by a more insurance-friendly 89bhp 1.4, which was replaced in 2000 by a 102bhp 1.6 16v. The fourth engine, an uprated version of the 1.7 producing 151bhp, was reserved for the Racing Puma of 1999. Converted by Tickford and with a widened track, stiffened suspension, 17in alloy wheels, a strengthened gearbox, an optional limited-slip differential, race-spec brakes and Sparco seats, the Racing Puma is rare and the best start at around £13,000 today. It’s the cheap-as-chips Pumas we’re interested in here. 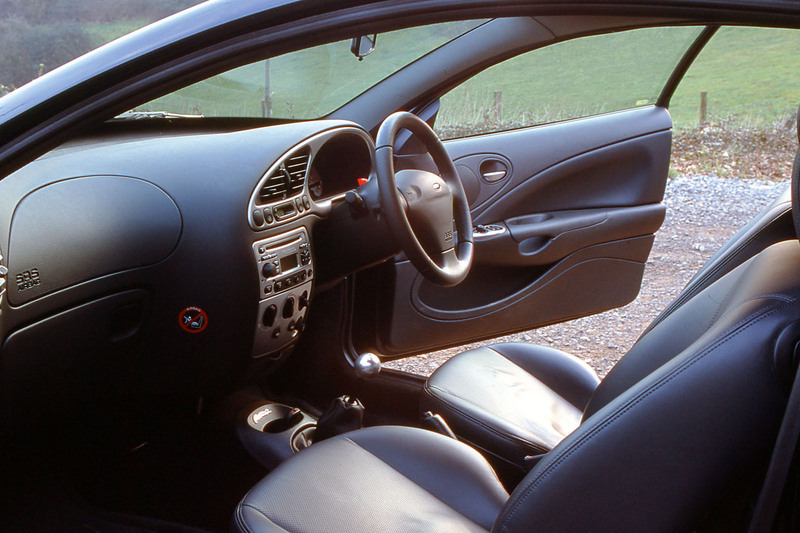 Standard trim included sports seats, anti-lock brakes and traction control. If you can find one, a fully loaded Puma Thunder is the one you want, withits leather and air-con. Word on the street is that the cleanest, least rusty Pumas have classic potential. It could just be worth a punt. An expert’s view, Simon Crosby, Puma enthusiast - “Even though I own two Racing Pumas, my favourite is still the 1.7 Thunder. ENGINE - It will be rare to find one with a service history, so check oil and coolant levels and colour. Look out for sundry oil weeps, poor starting and exhaust smoke. Bore wear due to leaky injectors can be a problem on the 1.7. Listen for misfires caused by coolant leaks on the spark plugs. There may be no record of a timing belt change but the recommended interval is every five years or 80,000 miles. The 1.7 can go to 100,000 miles. GEARBOX - Check for smooth changes and that the clutch isn’t slipping. BODY - Front suspension bushes wear badly so feel for looseness, listen for clonks and check for uneven tyre wear. Wheel alignment is very sensitive to kerbing. ELECTRICS - Inspect the condition of the tailgate contacts that power the rear wiper. They’re usually corroded but can be easily cleaned. PAPERWORK - Cross-reference the VIN and engine numbers on the car with those on the V5 document. Ensure it’s the right engine since there’s no badging. There may be a sticker giving the enginesize on the left side of the engine cover. Check mileage against old MOT certificates. Check it’s not a write-off. EXTRAS - Ensure there’s a spare wheel with tools, including towing eye; also, an alloy wheel locking key, manual and remote ignition keys, and an operating manual. Want to replace your Puma’s rotten rear wings? Genuine Puma parts are almost impossible to source these days but front wings from a Peugeot 206 are still available and can be adapted to fit the Ford by a skilled bodyshop technician. Remanufactured Puma sills are available from parts supplier Ex-Pressed Steel Panels. £250-£599 - Tatty early 1.7s up to 100,000 miles; runners with some service history. £600-£849 - Nicer 2002-reg 1.7s, still high mileage but in decent condition. £850-£995 - Well-maintained 1.6s and 1.7s start here, including a 2000/W-reg 1.7 with 60k miles and full history for £995. £1000-£1500 - Low-mileage (around 45,000) 2001- reg 1.7s for around £1200. £11,500-£19,500 - Range of 2000-reg mint-condition Puma Racing models. The dealer says there’s light rust on this car’s rear arches but reckons it’s otherwise tidy and drives well. He usually sells high-end cars but thought this part-ex was worth taking a chance on. It has a six-CD changer (remember those?) and parking sensors. Definitely powerflex bushes and they're otherwise bombproof. Mrs R's last one (W reg) got to 196k miles before a piston failed. Current low miler 51 reg is an absolute cracker to drive and that's from me jumping out of an E63AMG! Those were the days when manufacturers would make small coupes. The Puma was the first great handling Ford, thanks to British engineers - and not German engineers as the German motor press would have us believe.